After all the spending over the holidays and in London especially, i am actually trying to cut a bit back on spending during January. However, against better judgement, i opened the mail from "The Bodyshop". They have 50% off body butters and XL sized shower gels!!!!! After a brief argument with myself in which i convinced myself that this was a necessary purchase which i would have to otherwise have to do for a larger price (suuuuure), i rushed after work to the store to see if they had my beloved Honeymania (yes they did, i have now a 750ml bottle of this wonderful shower gel). Obviously me beeing.. well.. me, i had no other option than to also peruse the rest of the offers. And then my eye got caught by this pretty little thing and i thought i just give a swatch, actually not even planning to buy it. 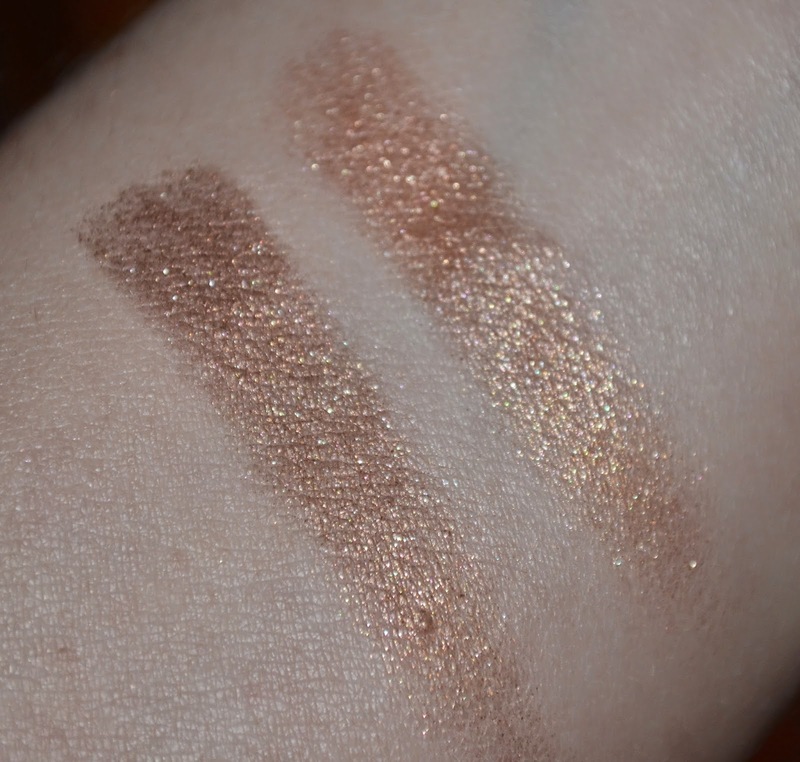 And OMG, look at this swatches. These were so pretty and so pigmented. The swatches are one tap with a finger. I know spring is coming and those are not spring colours but oh my god do i love this coopery glittery colors. I just imagine those to be perfect for a night out with the lighter colour over the lid and the darker in the crease. So well i bought it and: Je ne regret rien. I will rock this baby for my next romantic dinner date with the hubby. Judge me if you will. 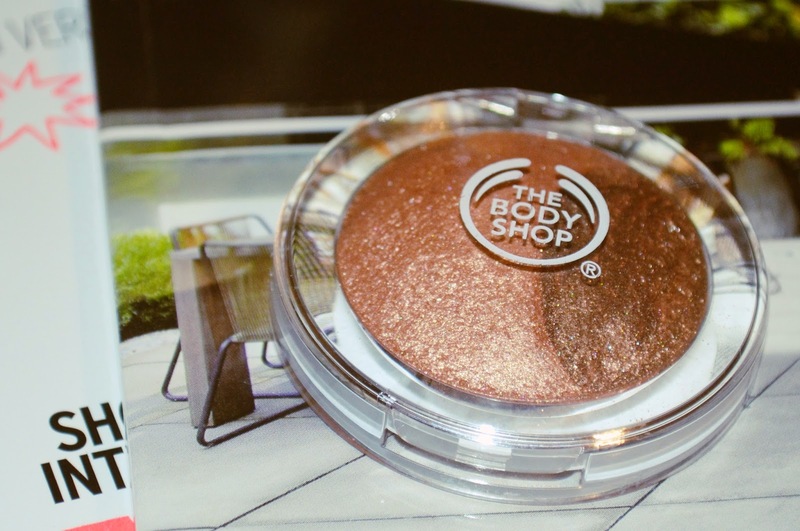 This is the bodyshop eyeshadow duo in cooper and if you want some of this action, you will need to hurry because they are apparently discontinueing it (which is probably part of the reason it was on sale). Did you make any great discoveries in the sales? Let me know in the comments. Haha, ye i love it. Wow so intens.. and so pretty! I haven't been able to go out shopping, actually. My last exam will be on the last day of the sales.. and I dare not tread into a store then xD I'm sure it'll be like a mad house. So no sale for me this time.